It's been just about a week since the Great Squiggle Brow Phase of 2017, but somehow there's already a new eyebrow trend taking over Instagram. 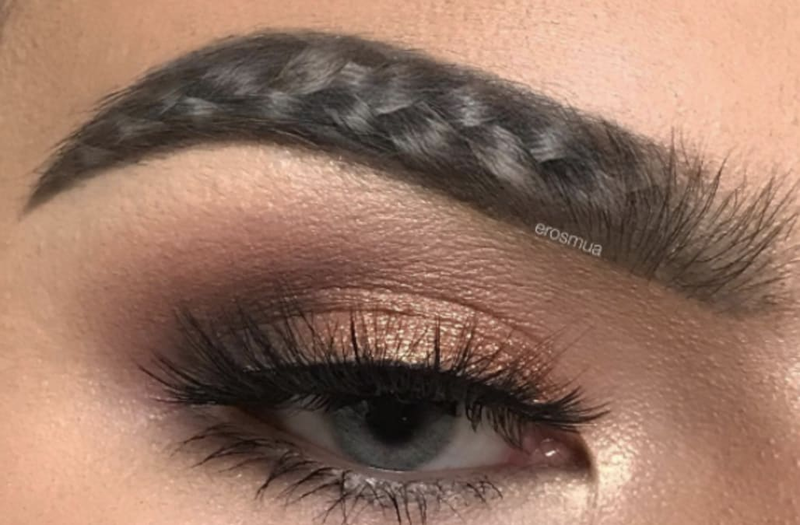 "Braided" eyebrows have officially trumped the squiggle brow. The catch? They're Photoshopped. "What the f*#%k are curvy brows? i only know braided brows!," 17-year-old makeup artist Eros Gomez captioned his September 2 Instagram post. "Ps. This is totally a joke, Please don't take it seriously!!!! The braid has been edited on since my brow hairs are not long enough to braid, believe me I tried." His post — with more than more than 171,000 likes — has led to an onslaught of braided eyebrow photos. "I spent almost an hour using things like hair gel and spirit gum in an effort to braid my tiny brow hairs with no avail," Eros told Allure. "Once I realized it wasn't going to work, I decided to just edit the braid on." Some are even using makeup to create the illusion of braiding. Enjoy the braided brow while you can. Honestly, who knows what's next. Can we interest you in some squiggle lips?